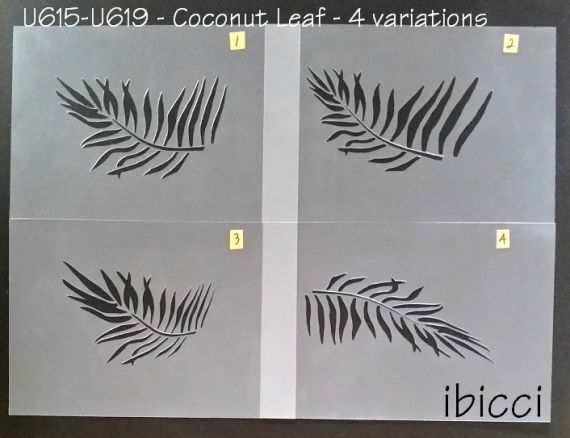 These ibicci coconut leaf stencils came about as a client asked me to provide one for a cake she was planning on doing. I played with the image after creating the stencil design and 'warped' the image various ways. I liked them so much I decided to keep 4 of them, hence these stencils, and of course I just had to do up a cookie sized stencil. 1. 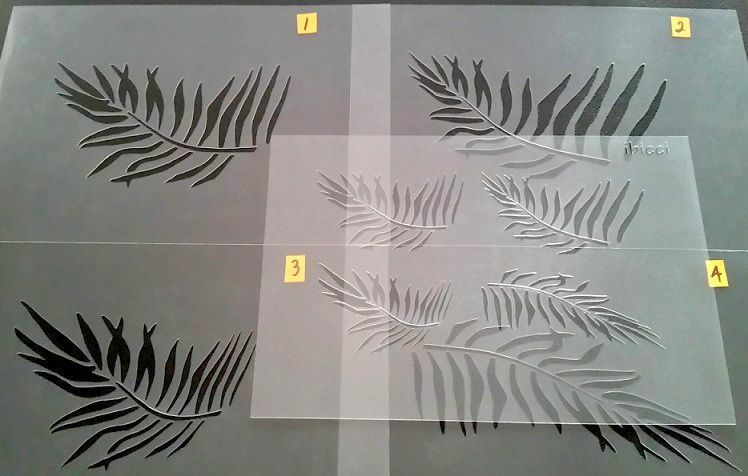 Leaf 1 - 75x126mm - 3x5"
2. Leaf 2 - 76x135mm - 3x5.4"
3. 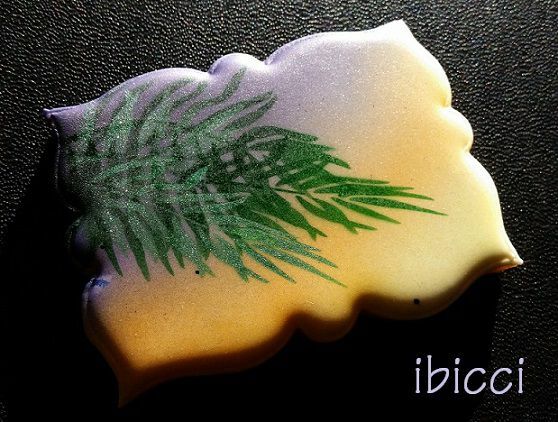 Leaf 3 - 76 x112mm - 3x4.4"
4. Leaf 4 - 65x140mm - 2.5x5.5"